Bachelor's Degree (or foreign equivalent or higher). Seven  years of full-time experience in instructional design or faculty development to include at least four  semesters of undergraduate teaching experience. Experience developing workshops or other faculty programs. Experience working with instructional technologies. Pedagogy experience, to include active learning theories and research in teaching and learning. Management experience. Advanced degree (or foreign equivalent or higher). Additional years of full-time experience in instructional design or faculty development services. Familiarization in a research environment. Experience facilitating workshops. Experience with online learning. Experience with learning space design. Experience translating education research for general audiences. 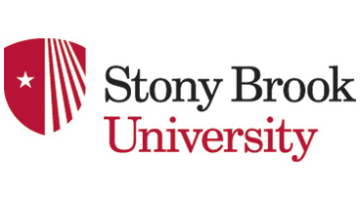 Stony Brook University, located on beautiful Long Island, NY, seeks a dynamic and creative educator experienced in leading activities related to faculty development to join the Center for Excellence in Learning and Teaching and a team of 30+ professionals engaged in supporting teaching and learning. Reporting to the Assistant Provost for CELT, the Associate Director will provide oversight of CELT teaching excellence initiatives and faculty outreach; build partnerships with faculty, academic departments, and faculty governance; foster a supportive environment for instructors across all campuses of the University. This position will ensure the development, coordination, implementation, and evaluation of faculty and TA teaching initiatives and programs. Additionally, this individual will oversee the operations, promotion, and programming of the new Faculty Commons. This position will manage two postdoctoral associates and two instructional designers. Associate Director will need to be a proactive thinker; experiment with program development to meet the needs of different groups; and connect to a vision and carry out a concrete plan of action. Oversee existing teaching excellence initiatives, events, and programming and build new ones with stakeholder input. In performance of these job duties, at all times be responsible for delivering optimal customer service, for protecting institutional data and privacy, and the excellent delivery of solutions and services by following divisional and University policies, procedures, and processes. Manage the promotion, operations and programming in the new Faculty Commons. Provide leadership and promotion, ensuring staff scheduling, function and appearance of the facility, and programming within the space. Provide expertise and consultation in pedagogy, active learning and learning space design. Utilize working knowledge of discipline-specific models of teaching and learning theories and best practices. Provide leadership to a team of faculty developers and instructional designers. Oversee CELT website and event promotions. Ensure content is relevant, up-to-date, and utilize student and staff writers, photographers, videographers to capture the energy and synergy of the unit and campus through our web presence. Other duties or projects as assigned as appropriate to rank and department mission. Professional Development and professional responsibilities.